Old school southern rock. He looks and plays just like his father Dickey Betts, back in the early Allman days. Sketches of American Music is the debut EP from Duane Betts. Betts certainly has the pedigree as the son of Dickey Betts, but also has strong chops of his own. For much of his career, Betts has considered himself a guitarist, but has put a focus on singing in recent years. His style will certainly draw comparisons to bands like the Drive By Truckers. The album opens strong with “Taking Time,” a great southern rock track that makes you want to roll the windows down and hit the road. Betts co-wrote the track with Stoll Vaughan, who also produced the album. Vaughan co-wrote four of the EP’s six tracks, including “Downtown Runaround,” a foot stomping rocker with an attention grabbing, gritty riff. Antoine Arvizo also has a writing credit on the track. Vaughan’s other co-writes with Betts include “When We Get Home” and the album closer, “Ride It Out.” The only track that Duane Betts didn’t write on the album is “California Blues,” which was originally written and recorded by Dickey Betts & Great Southern back in 1977. Duane’s version is about two and half minutes longer featuring a beautiful, uplifting guitar solo that really soars, definitely a major highlight of the album. 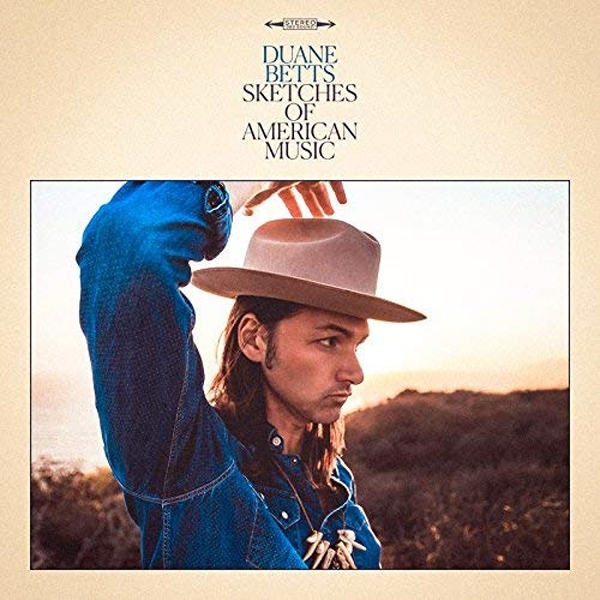 Sketches of American Music is an excellent debut album from Duane Betts. He’s certainly keeping busy with his own solo career and his work with the Devon Allman Project. Betts and Allman are writing an album together that could be released in early 2019. With that and a potential full-length album on the way, fans certainly have a lot to look forward to.